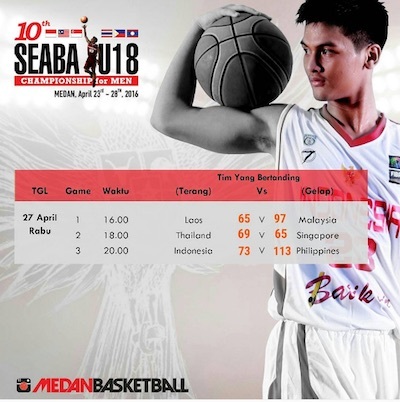 Batang Gilas repulsed Indonesia on the last elims day of the 2016 SEABA U18 Championship in Medan to formalize its entry into the Final game against Thailand, which beat Singapore. Malaysia, meanwhile, stayed alive for a FIBA Asia U18 berth after blowing out Laos. - Malaysia got the jump on Laos in the first period and never looked back on the way to their second win in five tries. Combined with Singapore’s loss later in the day, this result punches Malaysia through to the battle for third place, and if they win there, they will be headed to Iran for the 2016 FIBA Asia U18 Championship. Joon Kang Lee exploded with 9 triples for Malaysia, scoring a total of 31 points, while Eddie Wong added 17 points and 4 rebounds. Laos was paced by the combined 36 points of Phongphoumy Thavatay and Rattana Thavatsay. Line of the Game: Joon Kang Lee (MAS) - 31pts, 3rebs, 2stls, 1ast, 9 triples. - This was a little too close for comfort for Thailand, but the important thing is they still prevailed in the end. This win, coupled with Indonesia’s loss to the Philippines later in the day, enables Thailand to advance to the championship game. They get a second crack at the unbeaten Batang Gilas squad for all the marbles. Thanakrit Limjittakornhad 20 points to lead Thailand, while Team Captain Suwichai Suwan added 15 markers, 5 boards, and 3 dimes. Pongsatorn Tabtim also impressed with 10 points and 7 rebounds. On the other end, Singapore drew 30 big points from Vignesh Rengarajan, who also had 11 rebounds on top of 13/22 FG shooting. Singapore fell behind big early in the game, and their fourth period rally fell short. 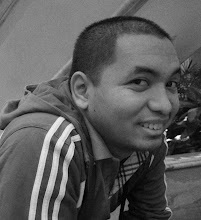 - Indonesia gave the Philippines all they could handle for one whole half before the Filipinos flipped the switch in the second half and broke the game wide open. Josh Sinclair was brilliant in this one, racking up 25 points, 10 rebounds, and 4 assists on top of 12/13 FG shooting! Team Captain Jolo Mendoza also did well with 14 points and 2 triples, while Jonas Tibayan added 13 markers and 8 boards. Batang Gilas will have a rematch against its opening day foe, Thailand, which has gone unbeaten since losing to the Pinoys on day one. Indonesia, meanwhile, absorbed its second loss and falls into the battle for third place opposite dangerous Malaysia. The winner of that encounter will book the last SEABA ticket to the 2016 FIBA Asia U18 Championship. Three Indons finished in double-figure scoring here, led by Muhamad Noor’s 14 points. Team Captain Bagas Darmawan and Yudha Saputera scored 13 and 10 respectively.